Winter provides the best arguments in favour of intelligent all-wheel drive, but the increased driving pleasure it offers can be enjoyed all year round. 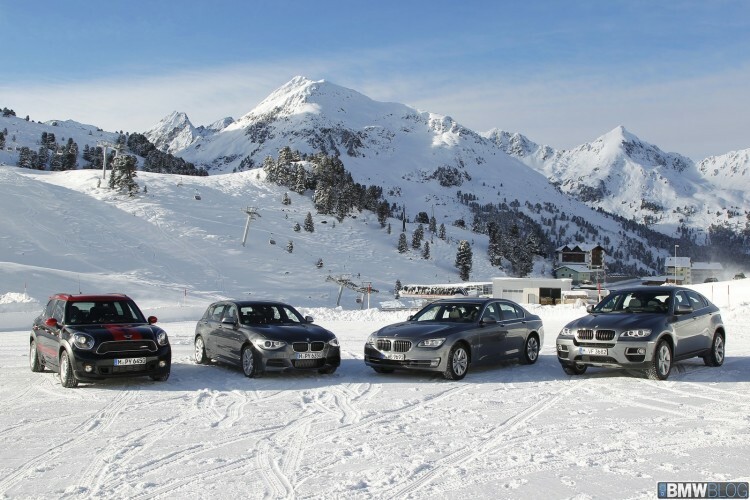 BMW xDrive and MINI ALL4 give each of the premium brands BMW and MINI an all-wheel drive technology which not only optimises traction and stability on snow and ice, slippery surfaces and loose terrain but also perceptibly increases agility on bends. 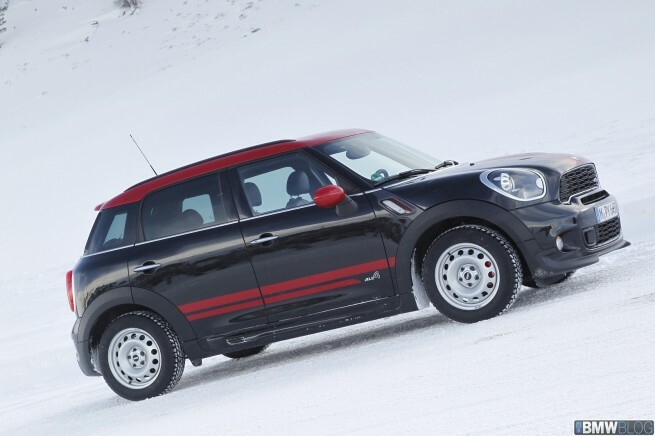 At the start of the 2012/2013 winter season, xDrive is already available for 64 BMW models, while the ALL4 system is offered for four engine variants of the MINI Countryman. 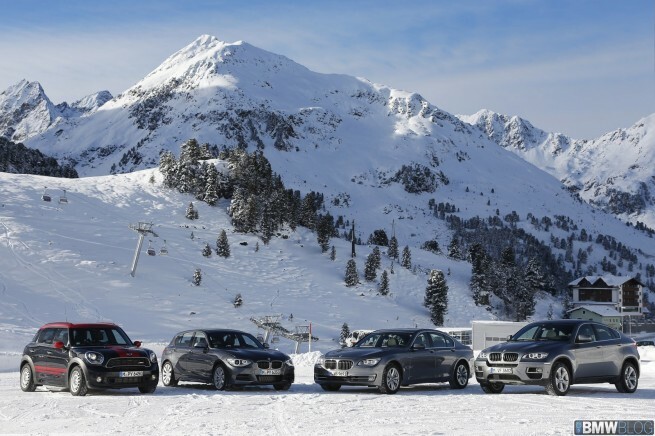 The BMW Group will be demonstrating the diversity of its model range and the superior qualities of all-wheel drive for BMW and MINI at a Winter Drive Event to be held from December 9th to 13th in Kühtai, Austria. A constantly growing range of vehicles with permanent all-wheel drive: within the last two years alone, the BMW Group has increased the number of its all-wheel drive models by about 50 per cent. And the current number of 68 models will be boosted once more in the spring of 2013. In addition to the MINI Paceman with ALL4, the first xDrive models of the new BMW 3 Series Touring will also go on the market at this time. 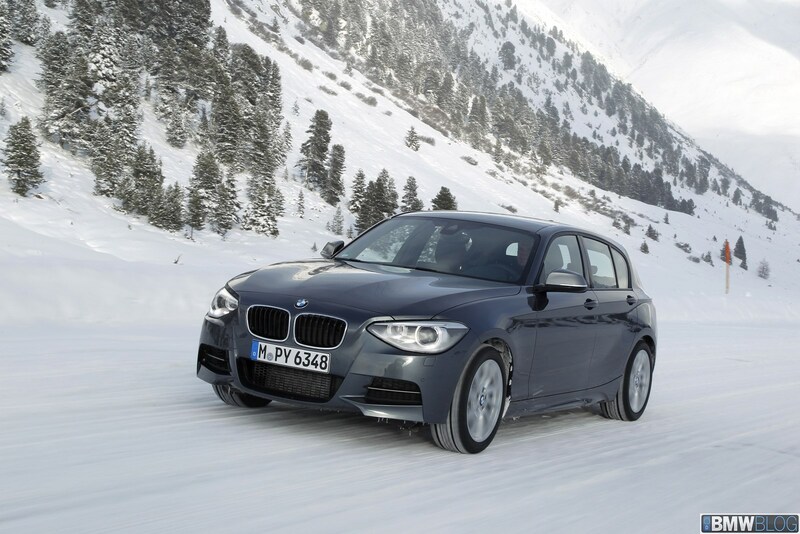 And to kick off the winter season, all-wheel drive can be experienced for the very first time in a BMW 1 Series. The models BMW 120d xDrive and BMW M135i xDrive are the latest additions to the range of models powered via all four wheels. In the BMW 3 Series, xDrive is currently available for the Sedan and the Coupé. The intelligent all-wheel drive system also demonstrates its qualities in the BMW 5 Series Sedan, the BMW 5 Series Touring and the BMW 5 Series Gran Turismo, the BMW 6 Series Coupé, the BMW 6 Series Convertible, the BMW 6 Series Gran Coupé, the luxury sedans of the BMW 7 Series and the models BMW X1, BMW X3, BMW X5 and BMW X6. Developed for increased driving dynamics from the very start: BMW all-wheel drive expertise since 1985. Power transmission via all four wheels was first offered in 1985 in a BMW 3 Series model, as an alternative to the brand’s hallmark rear-wheel drive. Even at this early stage, the distribution of drive torque to both axles was not only designed to optimise traction but also to increase driving dynamics on bends. This principle remains good to this day and is a key factor in the current BMW xDrive. Unlike other automobile manufacturers, who use an all-wheel drive system mainly to compensate for the traction deficits which occur in front-wheel drive vehicles, BMW also draws on the benefits of rear-wheel drive in the xDrive models. In normal situations on the road, most of the drive torque is directed to the same place where it is perfectly converted into driving dynamics in the brand’s automobiles where only a single axle is powered, namely the rear wheels. This keeps the characteristic BMW steering precision virtually free of drive torque. On bends taken at speed, the balance of forces is tipped even more clearly in favour of the rear wheels. In order to promote precise cornering and a high level of stability, xDrive directs more drive power to the rear axle on entering the bend. This further enhances characteristic driving pleasure. For over 20 years, BMW has used an electronic control system to ensure precise analysis of the driving conditions and bring about a fast response in shifting the distribution of power. In the BMW 525ix presented in 1991, the wheel rotation signals of the antilock system, the engine speed, the throttle valve position of the engine and the brake status were relayed to the all-wheel drive control unit, which was then able to adapt power distribution as required. Today the xDrive control system is fully networked with the driving stability control system in the Integrated Chassis Management (ICM). This means that in addition to wheel rotation speed, data supplied by DSC relating to steering angle, accelerator pedal position and transverse acceleration can also be incorporated. Detailed analysis of the driving condition even allows the xDrive system to function on an anticipatory basis – which accounts for its status as the world’s only intelligent all-wheel drive system. In contrast to conventional all-wheel drive systems, which simply respond to wheel spin already happening, xDrive is able to identify any tendency to oversteer or understeer in advance based on the data provided by DSC, and then counteract this tendency by proactively shifting the drive torque. For example, if the vehicle is at risk of breaking out to the side over the front wheels, an increased amount of drive power is instantly directed to the rear wheels. As a result, the vehicle corners with greater precision. The same applies when rear-wheel break-out is imminent: in this case, surplus power is channelled to the front axle. In this way, all-wheel performance is ready and waiting even before wheel slip can occur, and engine power is converted into driving pleasure without loss. The BMW X models: their athletic character is what makes them unique. From the very outset, the BMW X models’ formula for success was an all-wheel drive system which – in conjunction with superior suspension technology – provides a significant bonus in terms of driving dynamics. The BMW X5 presented in 1999 laid the foundation for a whole new genre of vehicle – the Sports Activity Vehicle. The launch of the BMW X3 in 2004 likewise started a new chapter in the all-wheel drive history of the brand: for the first time, an all-wheel drive system was presented under the name of BMW xDrive which featured an electronically controlled multidisc clutch to regulate the distribution of power between the front and rear axle with even further increased precision and speed. The electronic control means that the change in force distribution is performed in record time. The clutch can be completely opened or closed in the central power divider in just 100 milliseconds. Even greater agility with Performance Control and Dynamic Performance Control. 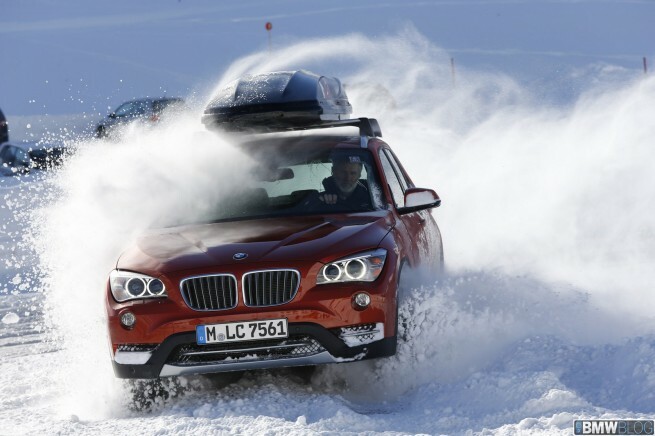 In the BMW X1 and BMW X3, xDrive can be combined with Performance Control. This is a way of enhancing agile handling even further. Selective braking of the rear wheel on the inside of the bend combined with an increase in engine power ensures that the vehicle corners particularly spontaneously and precisely on tight bends, for example. Application of the brakes stops the inner rear wheel from spinning as well as increasing power to the outer wheel for increased manoeuvrability when changing direction. Power distribution is even more variable in the BMW X6, as well as in the models BMW X5 M and BMW X6 M, all of which are fitted with Dynamic Performance Control as standard. This likewise electronically controlled system integrated in the rear axle differential interacts with xDrive to provide an extremely fascinating combination of driving dynamics and directional stability. As a supplement to the variable distribution of power between the front and rear axles it also applies continuously variable transmission of drive torque between the rear wheels. In this way, steering precision and stability are even more intensively optimised when taking bends dynamically. If there is an indication of oversteering, xDrive reduces the power being fed to the rear wheels as they push outwards. At the same time, Dynamic Performance Control withdraws power from the rear wheel on the outside of the corner – which is particularly heavily exposed to centrifugal forces – and redirects it to the rear wheel on the inside of the bend. Any tendency to understeer is suppressed by the very reverse process: xDrive reduces power transmission to the front wheels pushing outwards while Dynamic Performance Control optimises stability by shifting drive torque to the outer rear wheel. Dynamic Performance Control controls the distribution of drive power between the two rear wheels even in the case of sudden load reversals or when coasting, thereby even ensuring unique agility and driving stability when the driver takes his foot off the accelerator on a bend. For driving fun on every terrain: MINI ALL4. The agile handling of the MINI – referred to as the go-kart feeling – has been enriched by an additional facet since 2010. The market launch of the MINI Countryman saw the brand’s hallmark driving fun literally conquering new ground – not to say rough terrain. It was made possible by the all-wheel drive system ALL4, offered as an alternative to the front-wheel drive otherwise used by MINI. The system is based on an electromagnetic centre differential and distributes drive force at continuously variable levels between the front and rear axle. In normal situations on the road, up to 50 per cent of the drive torque is directed to the rear axle – in extreme situations such as when driving on ice or snow this figure can go up to 100 per cent. The control electronics of the ALL4 system integrated directly in the DSC unit enables power transmission to be altered as required, responding within milliseconds. Based on the data captured by the DSC system, the distribution of drive power is selectively adjusted early on when taking a bend at speed, for example, so as to ensure optimum agility while preserving the entirely safe driving properties that are typical of MINI. Next post Ask BMWBLOG: Can I retrofit an iPhone connection in a BMW? VIDEO: BMW xDrive vs Audi Quattro — Which is better?